Show of hands: how often do you use that button on Instagram that looks like a bookmark? If you don’t already use it, you should. With collections, you basically save any Instagram post into a Pinterest-style board with the theme of your choice. You can save your favorite pics, tasty recipes, fashion looks, or goofy stuff your friends post. Unlike Stories or regular posts, collections are private and only accessible to the collector. For example, here are a few posts saved to a food-based collection in my own Instagram. To start a collection, open the sidebar on your profile and find the “Saved” option (this used to be on your main profile, but has since been moved). Within this page, you hit the + button in the top right to create a new collection. You’ll be able to name it, as well as add any previously-saved posts to it. If you tap the ellipsis on the top right of an existing collection, you tap either “Edit collection” or “Add to collection.” From “Edit collection,” you can name each collection and choose which saved photo to be the cover. You can also delete the collection. If you select “Add to collection,” you can add items you’ve saved elsewhere to the new collection. When you hit the Save button on an Instagram post, the picture or video will be saved into the general “All” folder. 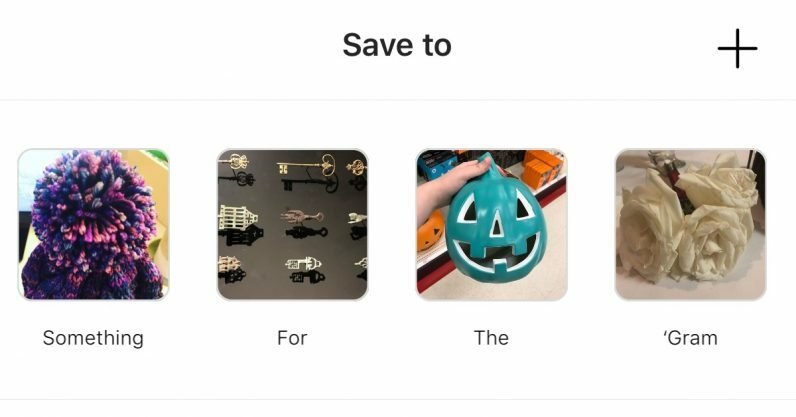 The option will pop up on the bottom of the screen to “Save to collection,” which means you can pick another specific folder to which you can save the same post. You can also use this menu to create a new collection, also by hitting the + button, where you’ll choose a name. If you follow any appreciable amount of people on Instagram, you might have a hard time finding posts you wish to revisit. Collections are a handy way of keeping track of the stuff you want to see again, without having to scroll endlessly back through your timeline or someone else’s profile.